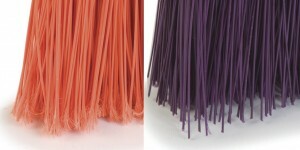 There are many options when looking at the bristles in your brooms – material, stiffness, color, etc. One option is a flagged or unflagged bristle. The ends of flagged bristles look like split hairs – these bristles are ideal for sweeping up fine powders or debris in dry areas. 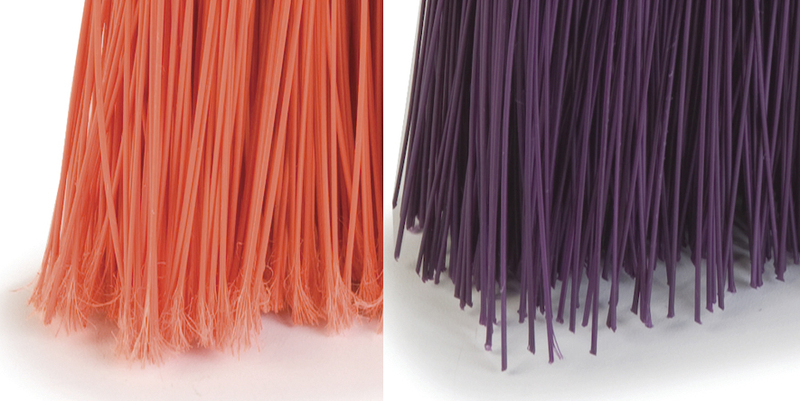 When used in wet applications it is common for these bristles to become “matted-up” and dirty. Unflagged bristles are commonly used in wet applications, and are ideal for larger debris. They will not, however, sweep up the fine debris as effectively as a flagged bristle will. Both flagged and unflagged brooms have their applications within many facilities. Choosing the correct one can make your clean-up job easier. For more information, see our selection of brooms and sweeps on our website or contact our Customer Service Department at 800-826-8302.